I'm actually away on holiday overseas and I didn't bring my laptop with me. I decided to try relying on my phone and Nexus 7 to get everything done. Here is a welcoming present my cousin gave me when I arrived. 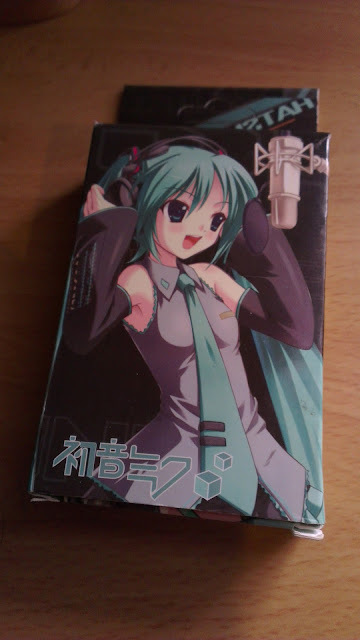 It is a pack of Miku playing cards. I've decided to share one card a week for a year. 52 cards. 52 weeks. Anyhow, I won't be blogging much but I will try to post stuff if I can.